Before the last seven days happened, I can’t remember the last time I watched back-to-back movies, much less thirty-minute shows. My crazed lifestyle of working, parenting, and escorting kids to everything, everywhere (oh, your next softballl practice is on the moon? And we need 20 lightyears travel time to get there by 4? Get in the Honda Odyssey!) usually means there’s little to no time for frivolous activities like sitting still for five seconds or talking to my husband ever. Watching TV falls into that no-time category and even when I’m sick and bedridden, my mind races with the things I’m supposed to be doing instead of battling infectious disease and internal gastrointestinal strife. There comes a time though, when the Netflix “Gotta Watch” list grows and the body weakens to the point where all you can do is sit there and give in to marathon viewing. 1) Absentia: I’m an enormous scary movie fan. Give me a moody atmosphere and palpable dread, and I’m in heaven. But as many spooky movie lovers know, there’s a big difference between psychological terror and bloody gore. I’m forever on the lookout for the former. Think The Others versus Saw. I no sooner want to watch body parts hung on rusted chains than I do a Porta-Potty from the inside. I’ve found it’s difficult to locate spooky movies that don’t venture into strangers-wearing-a-mask-and-invading-homes territory, so I’m always thrilled when I happen upon something that fits the bill. 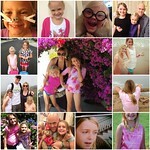 Absentia qualified for the most part (despite the image above). Much of the movie focused on the reaction of a woman to declaring her husband legally dead after seven years missing under mysterious circumstances, and Absentia sustained viewer tension nicely. The lingering shots on a tunnel located close to the main character’s house evoked the right amount of what’s going to happen next? without getting too obvious. Although at the end of the movie, you’re like “that was obvious.” Still, good movie vibes were had by all (my brain cells). 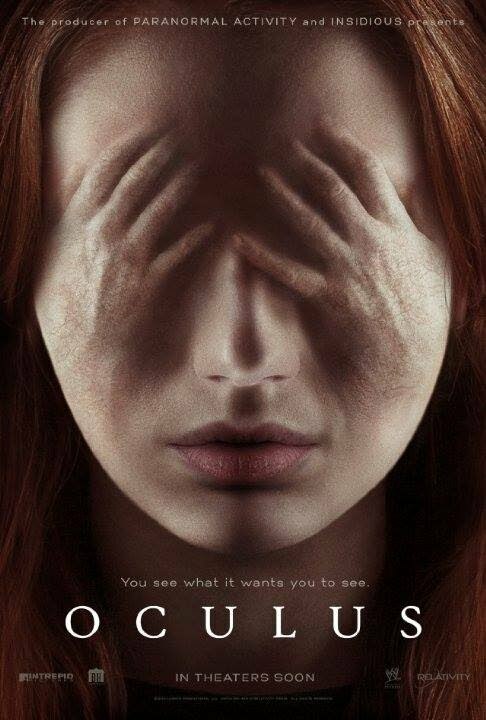 2) Oculus: This one featured some gore, but it qualified as mainly spooky because of the premise. It almost harkened back to the great scary movies of the ’70s like Burnt Offerings (THE BEST). The plot revolved around 20-something siblings trying to discover what happened 10 years prior when their parents went nuts after an antique mirror purchase. It sounds contrived, I know, and it was, but in the best way possible. Oculus ended up a cross between Paranormal Activity and American Horror Story: Murder House in that most of the action revolved around hallucinations, surreptitious video camera coverage, and sinister presences. 3) The Babadook: Another good tension-builder where you’re not sure what’s happening in the innocent family’s home, but it can’t be good. 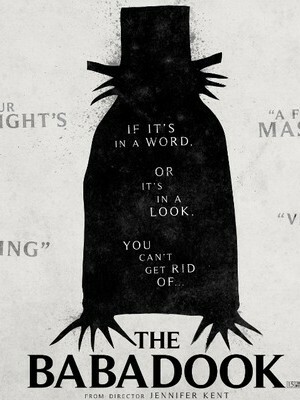 The Babadook focuses on a young widow with a precocious and slightly unbalanced son who senses an evil entity is stalking them. Much of the action hints at the boogeyman presence and shows very little blood and guts, which is just fine by me. This is a finely done piece that does away with the cheap thrills and goes to state of mind and character development. 4) The Way Back: Epic journey movies rank as my next favorite genre. I’d never heard of this film until a Netflix search turned it up, but it went right to the heart of what I love: World War II themes, desert treks, and Buddhist monks. The plot revolves around Siberian gulag escapees who vow to walk from Russia to freedom, no matter how far they must go. Most of the film follows the motley crew of usual suspects and their reactions to the war and each other against some stunning landscapes. The Way Back qualifies as pretty slow, and in some parts, meditative with bits of action here and there, which was perfect for my state of sick. 5) Perfect Sisters: The cheesiest watch of the lot, but I thoroughly enjoyed this Lifetime-esque film and its tawdry costumes and canned dialogue. Also, Mira Sorvino! I didn’t even know I’d missed her! I watched 100 more movies in bed last week than I want to admit here right now. So stay tuned for my next weak moment, when I reveal all. My husband and I are binge TV show watchers on Netflix. So far, we have watched Chuck, Psych, Once Upon a Time (until we caught up to the current episode and now watch it live), and are now watching White Collar. I haven’t delved much into the movies, though. Hope you’re feeling better soon!